This professional grade tempered glass lid is designed specifically for electric pressure cookers. Put your electric pressure cooker in keep-warm mode and cover the inner pot with this glass lid for food display and immediate serving. It can also be used in sauté/browning to avoid splashing cooking oil droplets soiling your countertop. 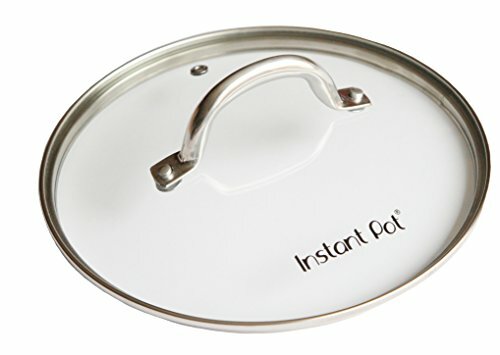 This lid features a steam-release vent and stainless steel rim. It's durable and dishwasher safe.